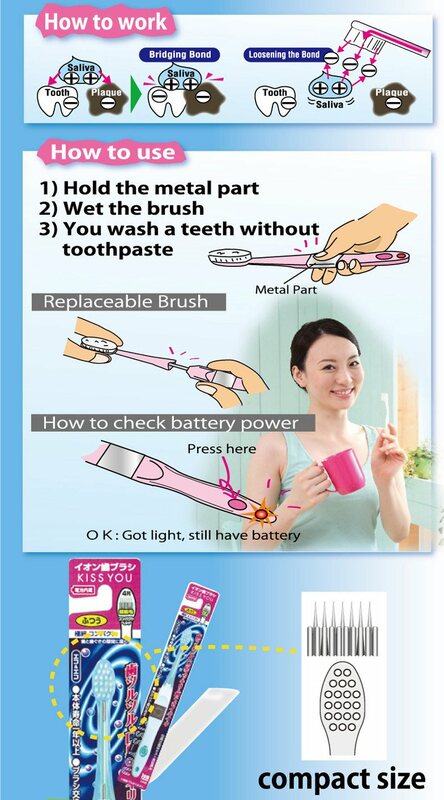 It is not a regular or electric toothbrush that forces plaque off the teeth by friction, hence causing abrasive action on the teeth and gums. 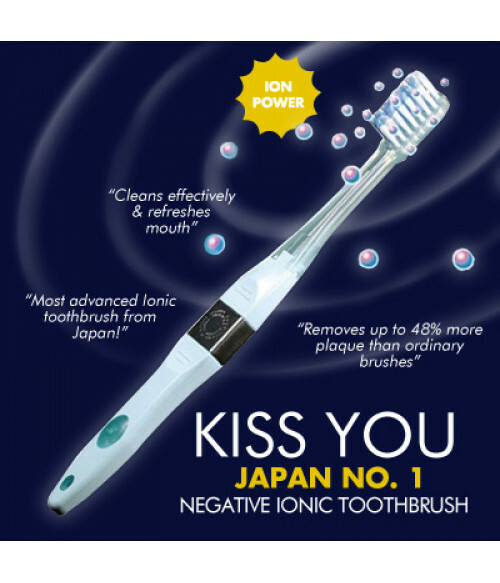 The innovative ionic action of the toothbrush allows the teeth to let go of plaque easily like turning off a magnet. 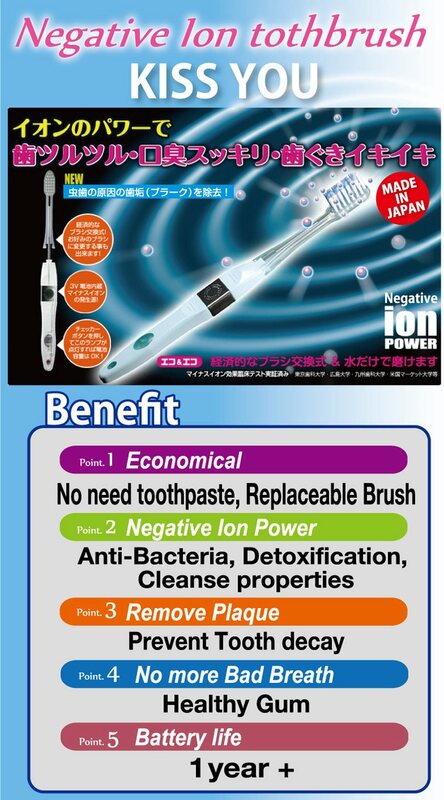 It is clinically proven by studies in Japan to remove up to 48%More Plaque than regular toothbrush. 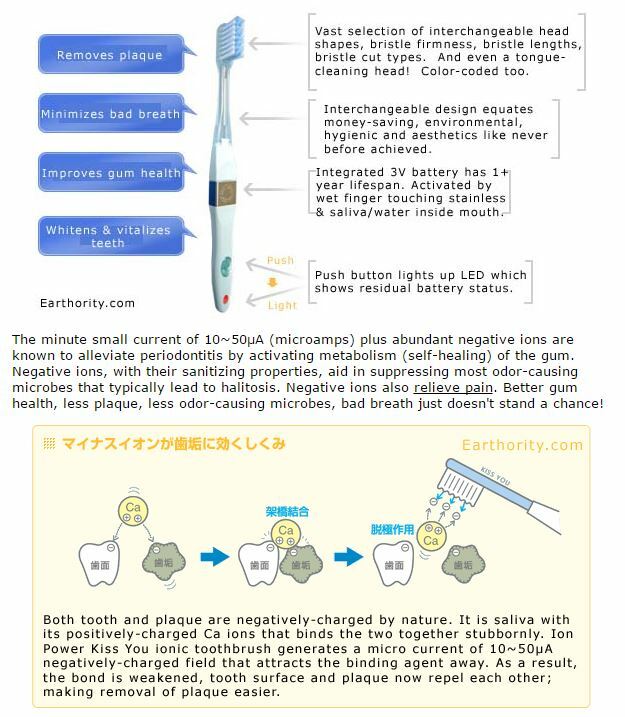 Little or No Plaque at all the next time you visit a dentist. 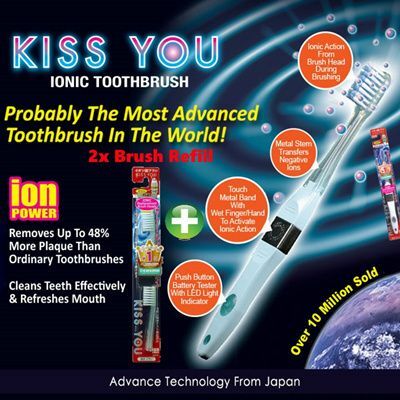 Many health-conscious consumers now prefer the ionic toothbrush over an electric one:Silent,Small and Ready-to-use anywhere it doesn’t need a charger or adaptor thanks to its integrated 3V lithium battery.